1.Please kindly take your own measurements to choose the right size.2. Colors of the products may be a little different from the real colors because of the different screens and light.3. 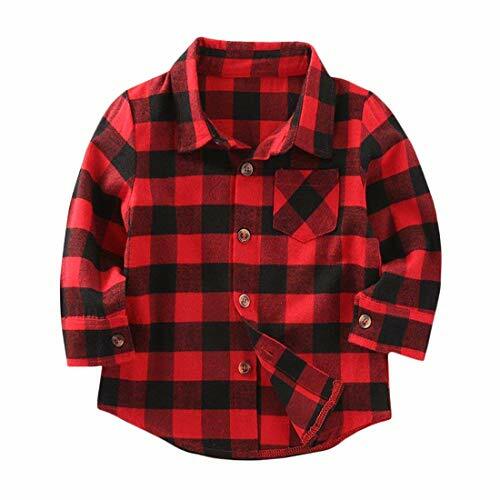 Please kindly allow 0.1-1.0 inch difference due to manual measurement.Size Information(Unit:in)US 2T===Tag Size 100#===Top Length 16.9===Bust 25.2===Shoulder 10.2===Sleeve Length 14.2US 3T===Tag Size 110#===Top Length 18.1===Bust 26.8===Shoulder 10.6===Sleeve Length 15.4US 4T===Tag Size 120#===Top Length 19.3===Bust 28.3===Shoulder 11.0===Sleeve Length 16.5US 6 ===Tag Size 130#===Top Length 20.1===Bust 29.9===Shoulder 11.4===Sleeve Length 17.7US 8 ===Tag Size 140#===Top Length 21.3===Bust 31.5===Shoulder 12.2===Sleeve Length 18.9US 10===Tag Size 150#===Top Length 22.4===Bust 32.3===Shoulder 13.0===Sleeve Length 19.7US 12===Tag Size 160#===Top Length 23.6===Bust 33.1===Shoulder 13.8===Sleeve Length 20.9This product changed the size on November 20, 2017. There is no need to choose one size up. 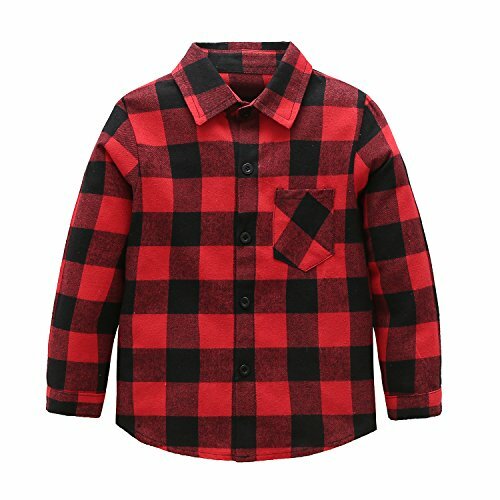 We choose skin friendly flannel fabric for a better kids feel. 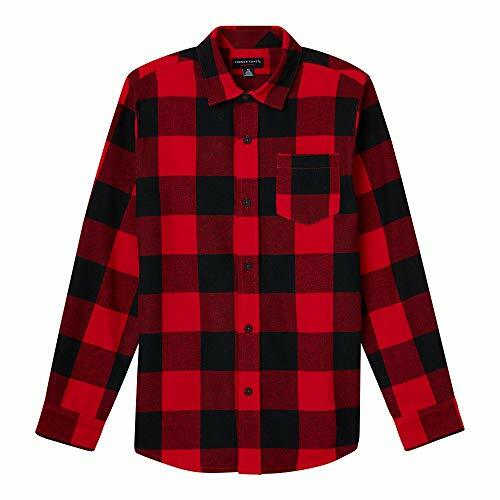 This kind of flannel is Soft, Comfortable and Wrinkle-free. 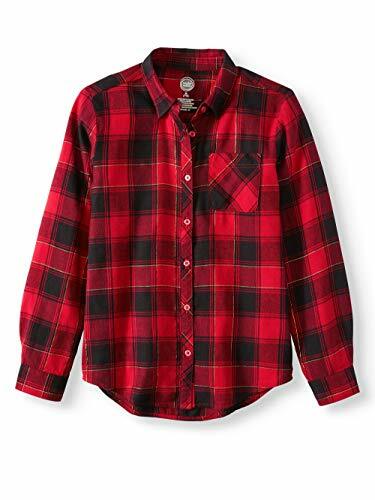 It's great for layered or worn alone; You can roll up sleeves or tuck it into pants. 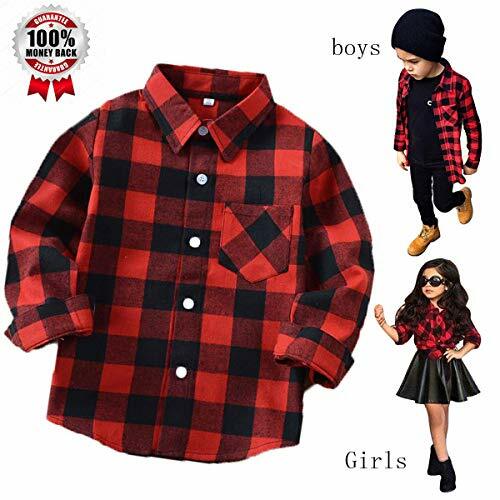 Size and Height recommendation: 18-24 Months: Height 31"- 35" 2-3 Years: Height 35"- 38" 3-4 Years: Height 38"- 41" 4-5 Years Height 41"- 44" 5-6 Years Height 44"- 47" 7-8 Years: Height 48"- 51" 8-9 Years: Height 52"-55" 9-10 Years: Height 56"-59" 10-11 Years: Height 60"-62" 11-12 Years: Height 62"-64" 13-14 Years: Height 64"-67"If your boy is taller, bigger or stronger than normal, please order 1 or 2 size up. Stay true to size for kids in Small range. Kids grow up fast, you can order size up per your actual need. 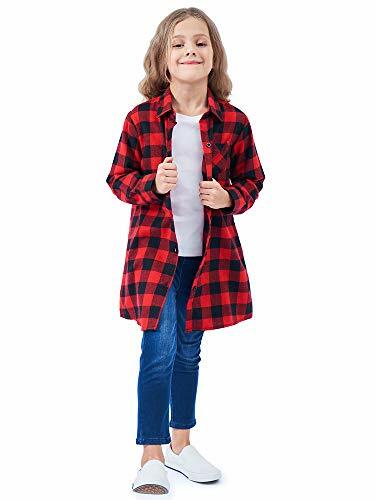 This plaid shirt for girls is sure to be a back to school favorite! 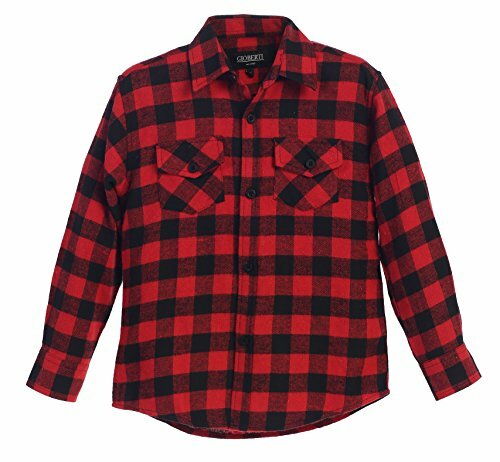 The flannel will keep her warm, and sleeves can be rolled up for warmer months, or layer with a t shirt and jacket for added warmth. 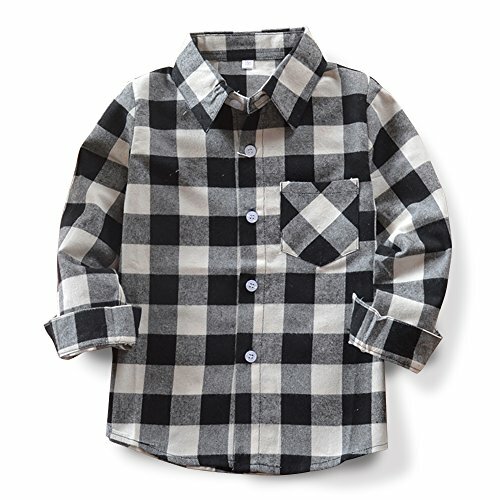 Available in four different plaid styles, she's sure to find a style she likes. 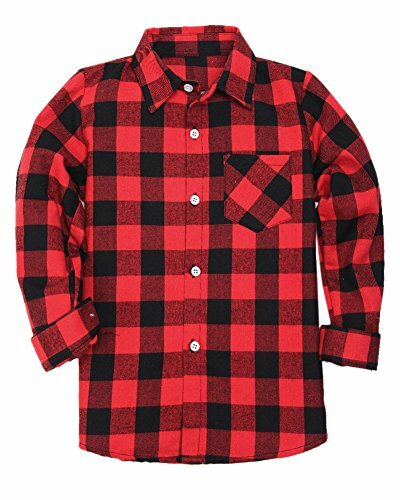 This handsome button down features Cotton Yarn-Dye Flannel, functional chest pocket, pleats at sleeves, double layer back yoke and box pleat on the back of the shirt. This top is perfect for any occasion. 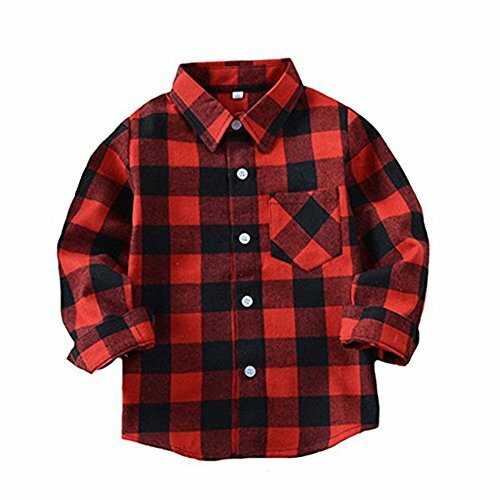 How to Style Flannel Plaid Shirt | Autumn and Spring!